Remember When Nokia Also Made Paper, Galoshes, and Gas Masks? A review of Nokia products over the past 150 years reads like a review of the history of recent technology. Nokia began as a paper company. It was 1865, and the mining engineer Fredrik Idestam established a wood pulp mill next to the Tammerkoski Rapids in the southwest of Finland. A few years later, he opened a second mill, this one located on the banks of the Nokianvirta River -- a river, apparently, named for an animal: a small mammal related to the weasel and the wolverine. But the company that derived its name from a weasel-y creature wouldn't be a one-product outfit for long. It would soon acquire a rubber factory, and a telephone-and-telegraph-cable manufacturer. It would dabble in electronics and clothing and forestry and robotics. Today, with the news that Nokia will sell its handset business -- and its patents along with it -- to Microsoft, it's worth remembering the many, many other times that Nokia has shifted course during its 150-year history. Nokia has been pivoting since before pivoting was a thing. Like Toyota, like Honda, like Apple, it has adjusted to the times -- to the extent that a review of Nokia products reads like a review of the history of recent technology. Nokia, to be sure, may have adjusted more slowly than it should have when it came to the smartphone revolution; but today's announcement marks yet another big shift for a company that, for most of its history, has embraced shifting as a way of life. "Changing with the times, disrupting the status quo – it’s what we’ve always done," the company's history declares. And while it's questionable, here, where the line lies between disrupting and being disrupted, it's clear that "changing with the times" is indeed part of the company's DNA. 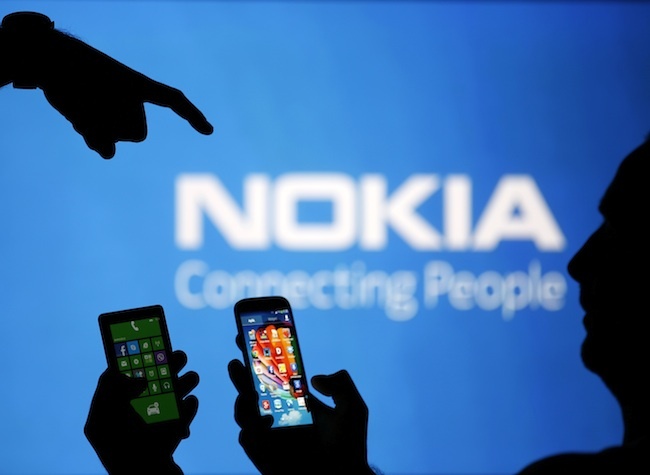 With that in mind, below is a brief history of Nokia as seen through its varied products.